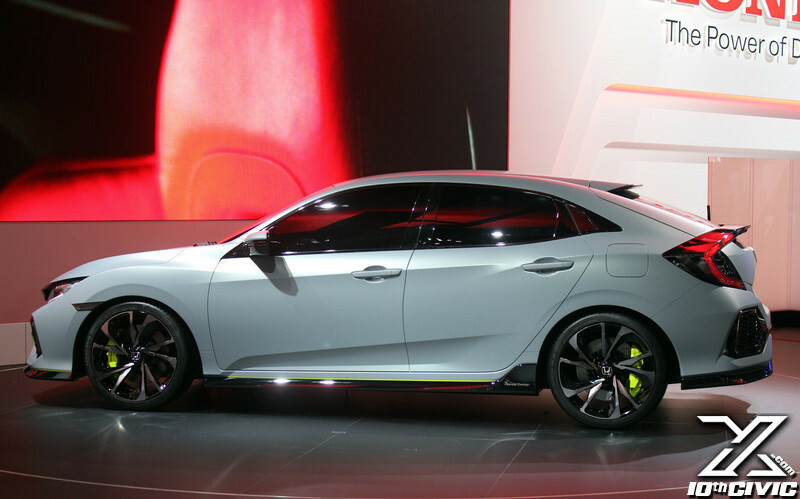 Discussion in 'Honda Industry News' started by webby, Mar 1, 2016. 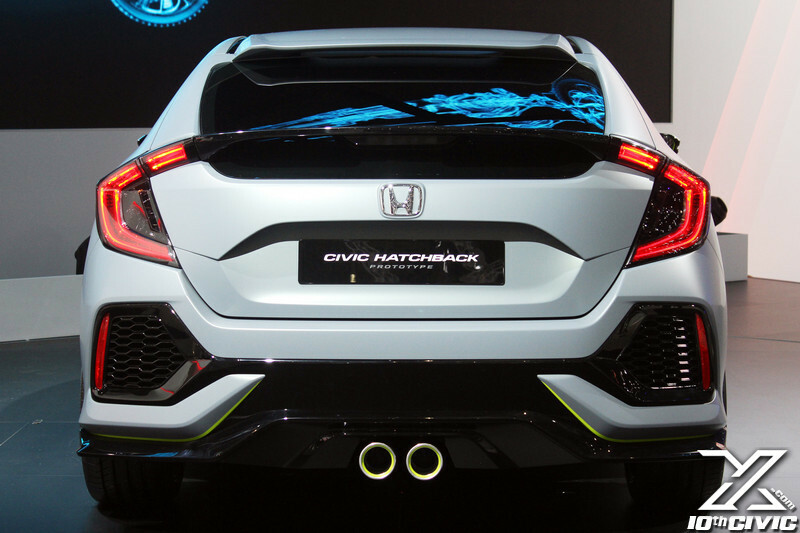 Geneva, March 1, 2016 - The next-generation Civic hatchback makes its global debut in prototype form at the 2016 Geneva Motor Show. 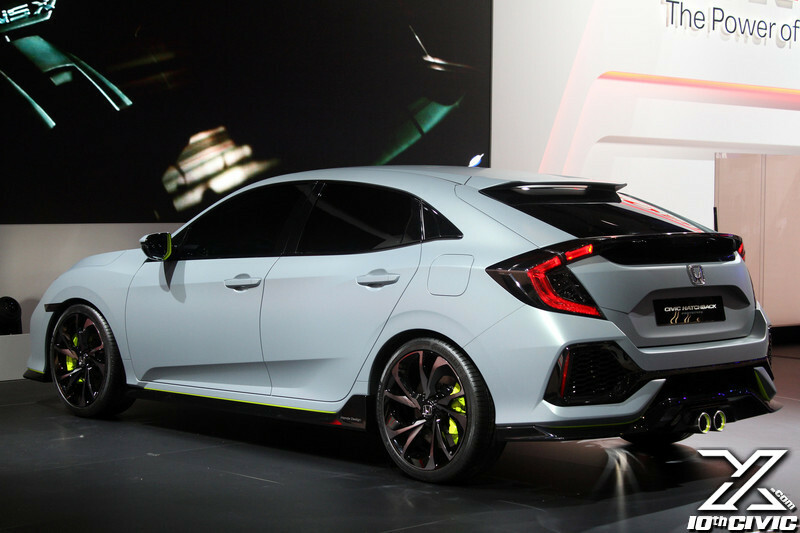 The design of the prototype heralds a significant step-change from previous versions of Honda's core European model, focusing on provocative design and rewarding driving dynamics. At the front of the car, a short overhang with large air intakes presents a sharp and aggressive interpretation of Honda's family face. LED headlights and daytime running lights flow from beneath the boldly sculpted bonnet into accentuated wheel arches. The sleek and swept-back body lines continue along the side of the car with a swage line that incorporates front and rear door handles before culminating in the distinctive C-shaped LED rear lights. A second, lower character line extends from behind the front wheels up through the doors and meets the rear wheel arches, emphasising the car's dynamic forward-leaning stance. At the rear, the bumper incorporates angular creases and vents, designed to echo the aggressively styled nature of the rest of the car. Daisuke Tsutamori, Project Leader for the styling of the Prototype provided an insight into how the distinctive design was conceived and realised: "We knew that we needed to create a striking and stand-out exterior design that challenged conventional European compact styling while staying true to the original Civic's core values; a marriage of distinctive and sporty design, rewarding driving dynamics and versatile practicality." Designed and developed for the European market, the 10th generation Civic is scheduled for a European launch early in 2017. 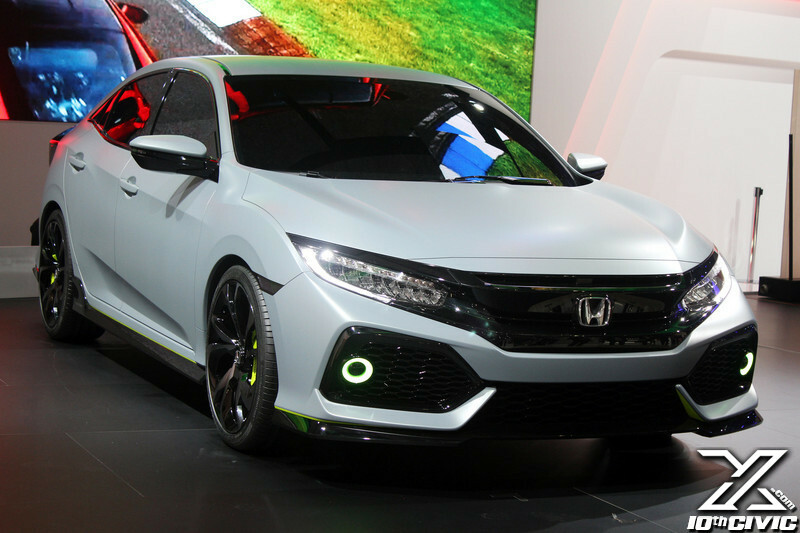 The five-door hatchback variant will be produced by Honda of the UK Manufacturing (HUM), and will be exported to global markets including the United States.